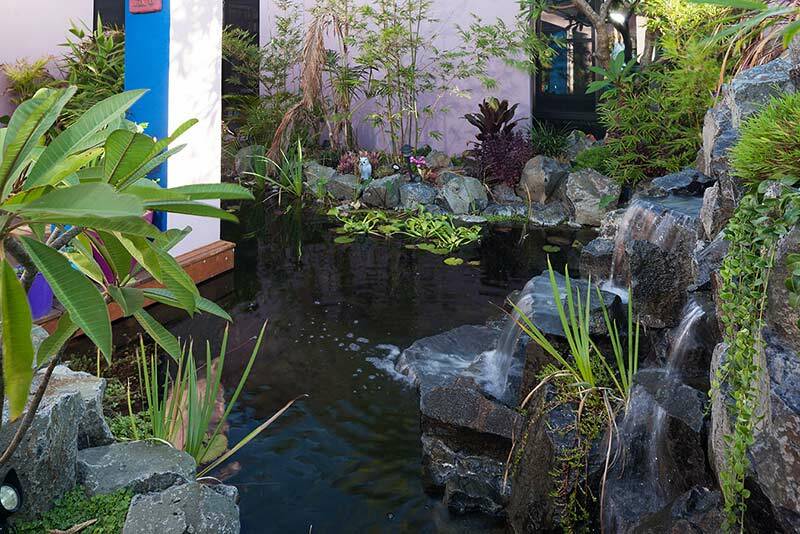 As part of a new home build and in conjunction with a separate plunge pool, the client wished to include a biological pond water feature to be constructed to not only be a stunning focal point in their garden, but throughout their home as well. 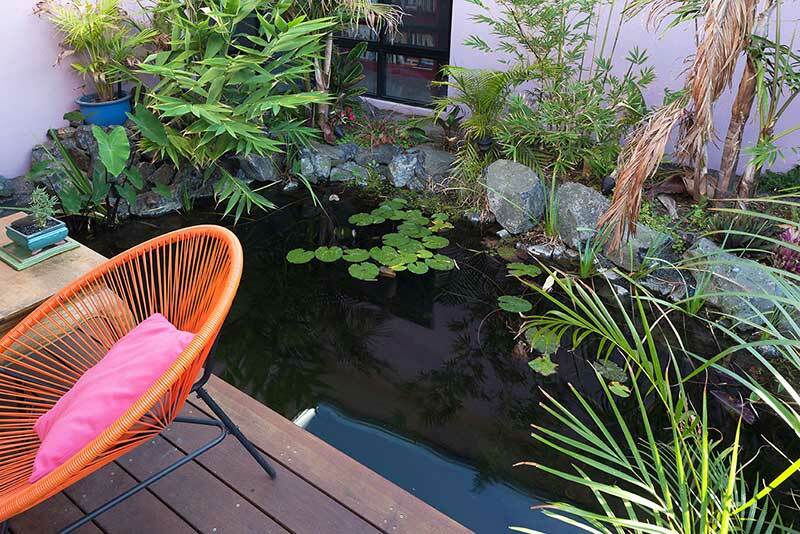 Differing from traditional water features, this continues throughout the home with a glass floor acting as viewing window to the pond flowing beneath. 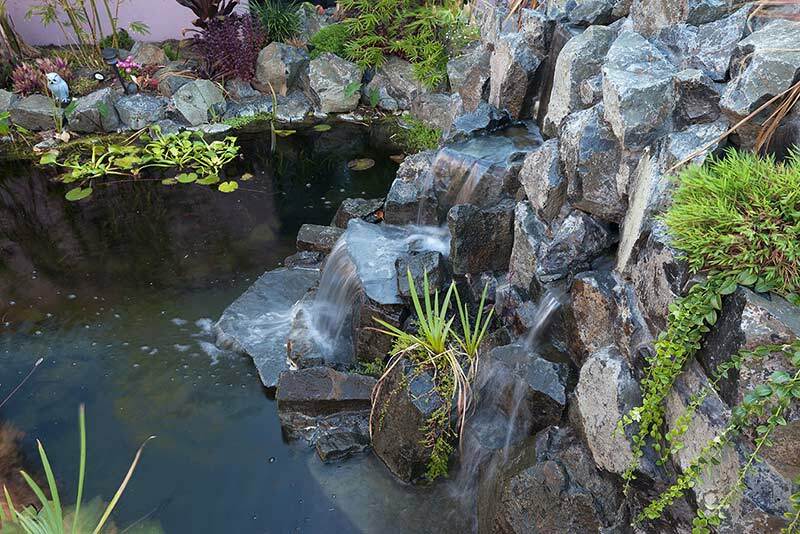 At an overall depth of 1.3m, the outer edges of the pond were constructed at only 300mm deep to allow for a range of aquatic plants to grow as well as creatures that prefer shallow waters. A tiered, natural rock water fall was constructed which the client can view from both the alfresco and inside the home. 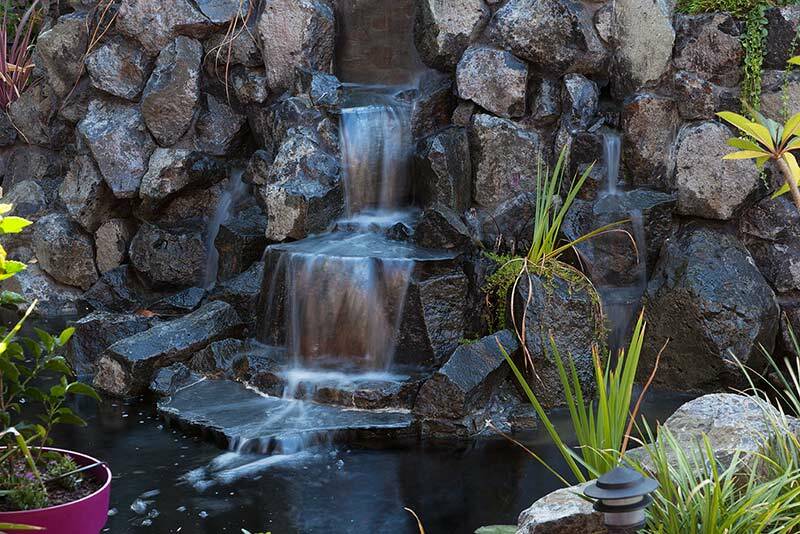 This waterfall not only acts as a dramatic feature, but allows for the use of a gravity filtration system. 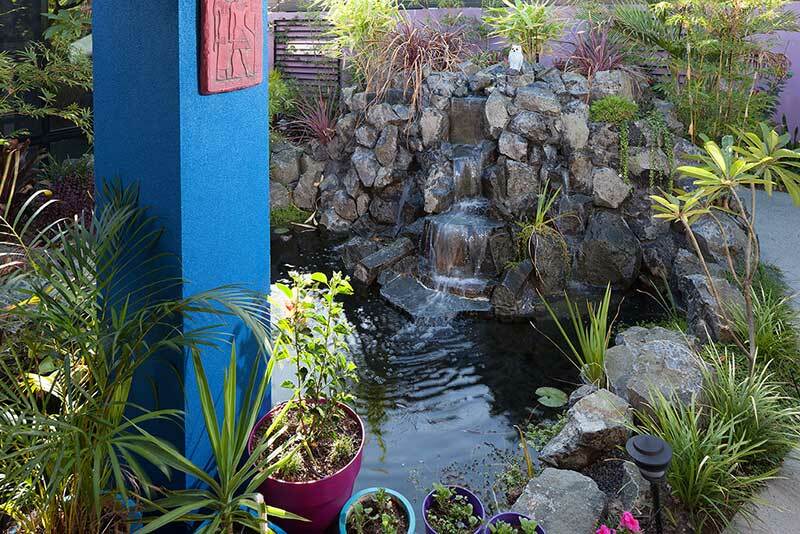 Located at the height of the waterfall the filter is pump fed and uses the waterfall to return filtered water back to the pond. 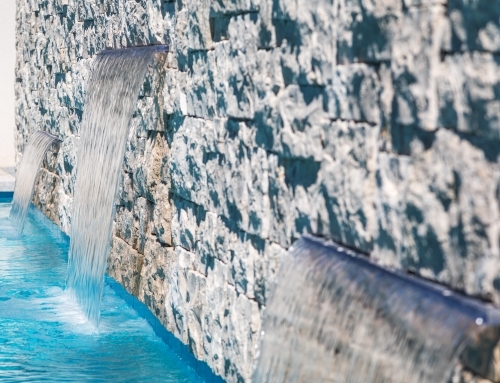 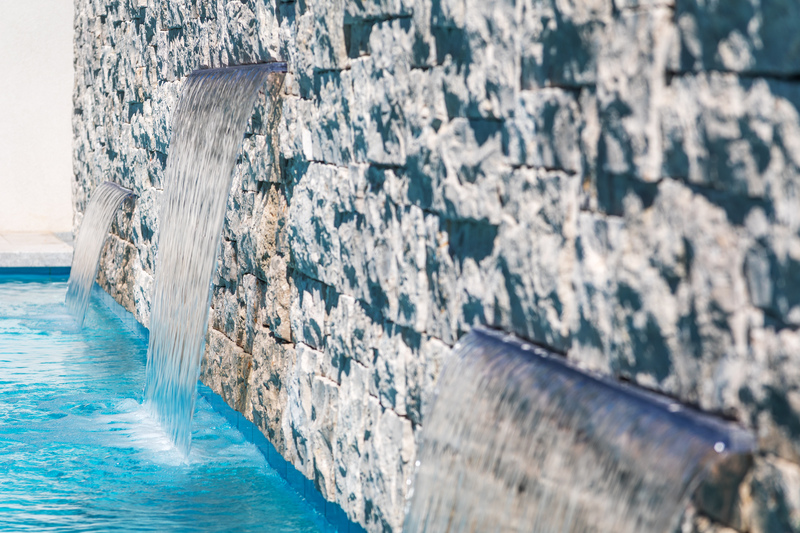 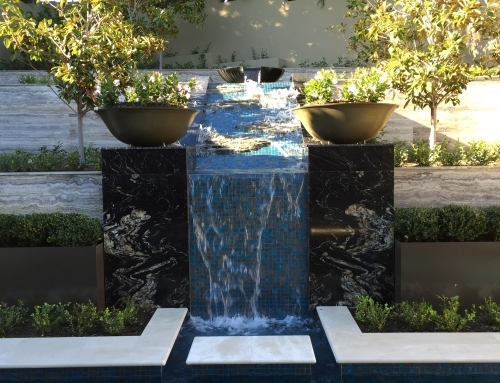 This water feature captures the essence of tranquility that our clients desired, whilst integrating the two areas of the home in an innovative and seamless way.